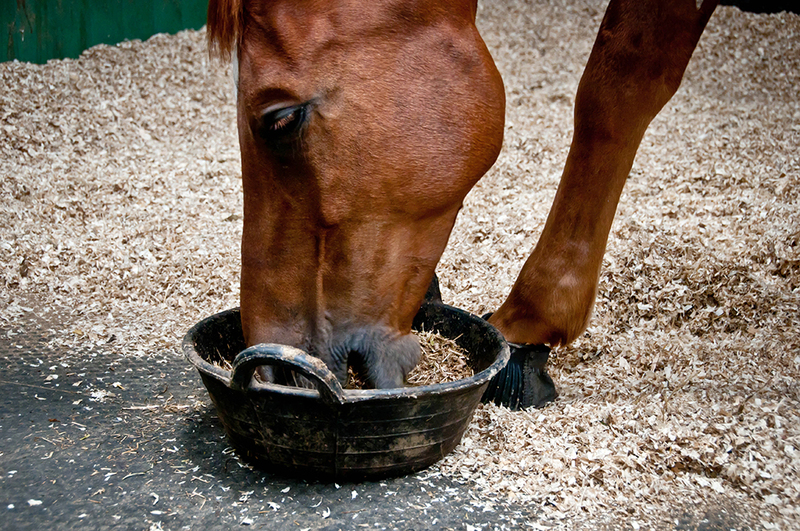 Are you concerned about your horse or pony having gastric ulcers? It is estimated that around 40% of leisure horses, 60% competition horses and 90% of racehorses are affected by Equine Gastric Ulcer Syndrome (EGUS). Focus on feeding your horse or pony little and often – dividing the total forage ration in to as many small meals as possible helps to keep the time the stomach is empty as short as possible. Try to avoid cereal based concentrates as they increase acidity levels in the digestive system. Use digestible fibre sources like alfalfa with added oil to meet the energy requirements. 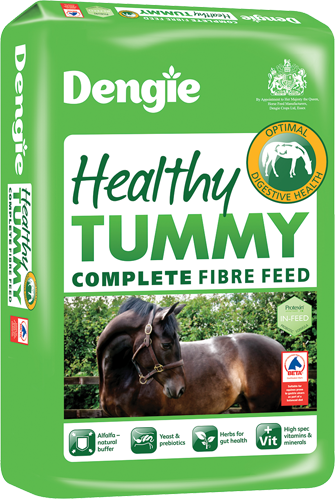 For example Dengie Healthy Tummy provides 11.5MJ/kg of slow release energy, which is the equivalent to a medium energy mix. Include alfalfa in the ration – research has shown alfalfa is a better buffer to acidity than other fibre sources due to its protein and calcium content. Feed a small amount of chopped fibre about 20 minutes before exercising to help stop the stomach contents splashing around. This is particularly important when exercising at speed or jumping. Reducing exercise intensity may help when horses are recovering from ulcers. For further advice on how to feed a horse or pony with EGUS, contact the Dengie Feedline on 0845 345 5115 or click here to email the Dengie nutrition team. 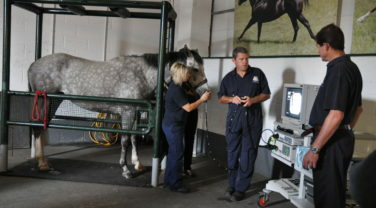 Are you concerned about your horse having ulcers? There are several factors that contribute to ulcers and being aware of these can help to reduce the risk in the future. Here the Dengie Nutrition team explain.